R.I.P. to the Blissful Bookworm | I Heart Webby! It is with a heavy heart that I write this post! 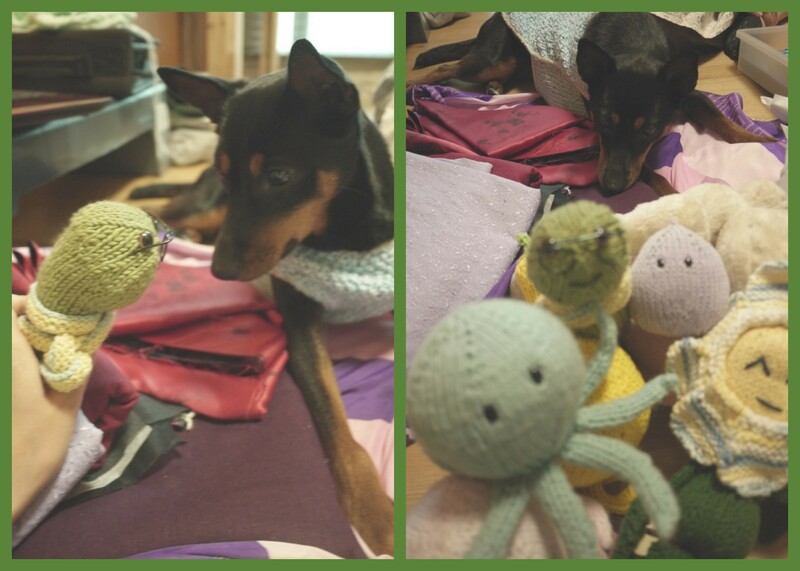 The Blissful Bookworm is one of the many knitted creations I’ve featured on my other blog, Knitting Nandu–and certainly one of my favorites. I proudly showed him off to a visiting guest, and was not careful about putting him out of Webby’s reach once the “show and tell” was over. 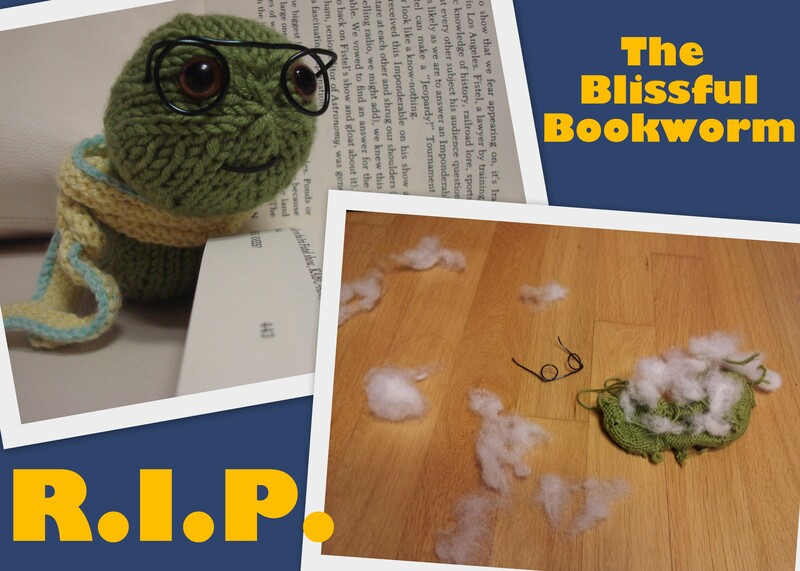 I returned home to find my dear bookworm totally EVISCERATED…and how sad is it that his glasses were also totally bent out of shape? Oh the carnage!!! When I showed my cousin the pictures (she was one of the Blissful Bookworm’s biggest fans), she was also horrified…but upon further reflection, she said that there were signs that Webby had “marked” the bookworm for assassination! She then showed me the following pics she had taken months ago when she visited my home. Sigh–these pictures certainly makes it clear that Webby has had her eye on the Bookworm for a long time~~~ To my dearly departed Bookworm—I’m sorry I didn’t do right by you! Posted by mz jenny lee on November 7, 2012 in Uncategorized and tagged bookworm, shaming, Webby. Wearing many hats for a living...because who wants to wear just one hat? My many and diverse interests have lead to different blogs so I can give them individual love and attention :)! I hope you enjoy them!